Will Beckum is an experienced construction law attorney in Birmingham, Alabama whose law practice focuses on representing homeowners, condominium associations, and contractors who have become involved in legal disputes. Beckum Law is one of the few Birmingham, Alabama law firms with a substantial construction law practice focused on representing homeowners and condominium associations on claims arising from construction defects. For nearly fifteen years, Mr. Beckum has handled all types of construction law issues ranging from residential and commercial construction litigation, to contract negotiation and mechanic’s liens. In the past, the attorney has represented large contractors, engineers and architects; however, his current law practice focuses on representing individuals, condominium associations, and small businesses who have been damaged by construction related issues. 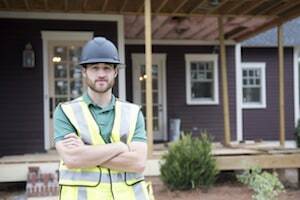 How do I Know if I Have a Construction Defect Claim? For a typical Alabama resident, purchasing a new home is the largest investment he or she will make in their life. While purchasing a new home should be a joyful occasion, there are some times defects in the home that must be repaired. When problems with construction arise, most builders will promptly address these issues under their warranty obligations. However, when significant construction defects are not addressed by the contractor, the results for a homeowner can be financially devastating. When significant defects go unrepaired it is time to consult with an experienced Birmingham construction law attorney. Almost any physical condition that reduces the value of a home, condominium, or commercial building can be legally considered a defect in design or workmanship. In Alabama, most construction defect claims relate to newly built homes (within the past few years) due to the fact that warranties do not extend to subsequent purchasers. These defects may include structural foundation and footing issues, electrical and plumbing issues, leaking windows and roofs, sinkholes and soil conditions, faulty drainage and materials and design issues. There may be concerns with a contractor’s failure to comply with building codes, licensure requirements, or even finishing the construction project. Unfortunately, there can be even more serious disputes with builders and materials suppliers making fraudulent misrepresentations regarding the quality of the homes. Beckum Law has experience aggressively representing clients in construction defect claims arising out of many types of projects, including single-family homes, entire subdivisions and neighborhoods, multi-family residences, condominiums, commercial buildings, and apartment complexes. Construction claims can often be highly complex and require technical knowledge to properly communicate your claims to an arbitrator, judge or jury. Mr. Beckum’s construction law experience, along with his background as an engineer from Georgia Tech, helps provide his clients an edge in both arbitration and litigation. He recently represented a condominium association consisting of over 205 individually owned units in complex litigation spanning over four years. Ultimately, we recovered $5.9 million dollars on behalf of the condominium owners, permitting the Association to financially take on the massive repairs needed throughout the development. Will Beckum is an experienced construction law attorney serving Birmingham, Alabama and throughout the State of Alabama. Whether you are the homeowner who is in need of a solution, or a builder or contractor who wants to defend your company against false claims, our firm has the necessary expertise to handle your case. Call us today for a free consultation at 205-588-0699.